Yes, it’s been (quite) a while since I’ve posted. I know… I know…The life of a multitasking mom strikes again. However, I am pleased to provide this post today! In the last year, I have been lucky enough to cultivate a relationship with nutrition expert, author and blogger, Tracee Yablon Brenner, RD CHHC. 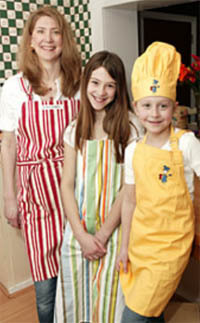 She’s one of the Real Food Moms who offers her advice and expertise on all manner of food and nutrition-related topics. Q) I know there’s a link between nutrition and mental health in children; has this evolved to be more specific? A) You may have heard that artificial preservatives, such as BHT and BHA are being investigated for provoking chemical sensitivities. Many studies on mice have shown that these preservatives cause learning deficits, difficult sleeping, developmental delays, aggression, decreased orientation reflex. I can say that removing artificial preservatives from the diet could also relieve behavioral symptoms as aggression, hyperactivity, and developmental delays. In terms of artificial flavors: Many people are affected by MSG, and children who have special needs are especially vulnerable since they might not be able to communicate their discomfort, which may manifest as a headache or nausea. Removing artificial flavors from your child’s diet is the safe way to go, and could help to reduce behavioral problems. There’s a well-known 2007 study published in The Lancet stating that artificial colors in children’s diets contributed to hyperactive behavior. In light of this, the UK’s Food Safety Agency released this statement on July 20, 2010: “An EU-wide health warning must now be put on any food or drink that still contains colours that are thought to cause hyperactivity in some children. Q) What can mothers eat/avoid while their child is in utero to possibly avoid mental health issues? The recommended levels of vitamin D, folic acid, choline, iron, Omega 3 fatty acids are important for brain development and to decrease risk of mental illness. You’ve probably heard many times that it’s important to eat foods high in folic acid; these foods not only help kids grow and learn but they are important to neurological health, too. Good examples: green vegetables (spinach, broccoli), citrus fruits (grapefruit, oranges, limes), whole grain products like high fiber cereals, quinoa, buckwheat, oatmeal, whole wheat bread and crackers. There’s also new research in the area of schizophrenia prevention that talks about the potential for Choline (In the form of Lecithin) to prevent the brain changes that may predispose people to schizophrenia! According to the Institute of Medicine, women should consume 425 milligrams of choline per day—the equivalent of almost four whole eggs. This value is higher for men and pregnant women. Foods that have choline in them: cow’s liver! Need other suggestions? Peanut butter, iceberg lettuce, and cauliflower. Q) Is junk food the enemy of mental health? A) Junk food is not nourishing to the body in general. The brain is an extremely delicate organ which needs vitamins, minerals, and antioxidants to function properly. You don’t want your brain working hard trying to deal with potentially harmful substances from food – you want it working at peak capacity! Q) Is it too difficult to generalize or can you say that a healthy diet full of whole grains and whole foods can ease many mental health issues in kids? A) When children eat real food as nature intended without artificial colors, flavors and preservatives, their body is receiving most of the vitamins, minerals and antioxidants it needs and not is competing with substances that are not nourishing to the whole body and could be harmful. Q) Can you provide examples of success stories related to this topic? 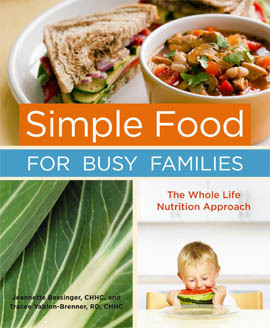 I have had children (as clients) who have removed sugar from their diet who were able to focus clearly. I have also had children who removed a lot of junk food from their diets and ate real, unprocessed food and headaches and irritability went away. So, what’s your take on this topic? I’d love to hear your success stories or whether you think there is in fact no correlation at all! I firmly believe there is a link between mental health, behavior and food choices. I see how my own children (who have the added frustration of allergies and sensitivities to many of the preservatives and additives you mentioned) act when they have been eating poorly and it is immensely frustrating. They are still too young to recognize the link and want to take more active control of their health, but I am seen as a “food police” if I monitor the junk they eat… it is an exhausting fight as a mom! I would agree with you that when our kids eat whole foods especially when they are in a growth spurt that it helps their attitude. Great post!